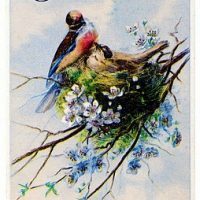 I just love this adorable little 1906 postcard! Here we have 9 darling little fluffy Easter peeps all in a row!! this one is so very cute! 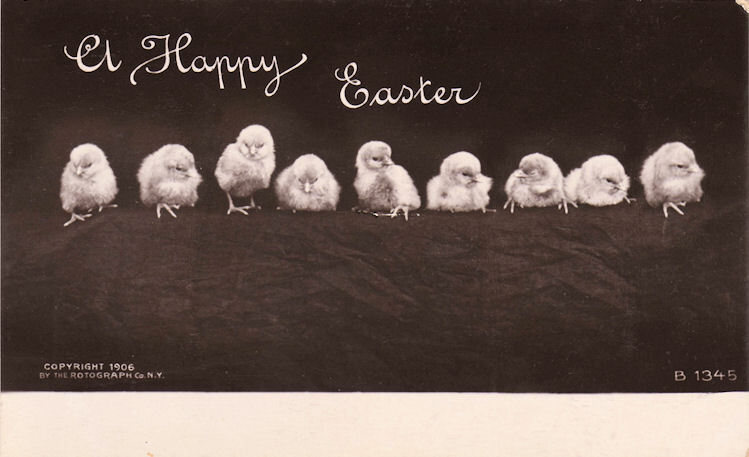 Love this for an Easter Card idea. this is just too adorable! thanks for sharing such lovely images! This is so cute. Thank you for sharing it! Just popping in to say – Come on over to my place where I have some CU Freebies to share. I like to give something back to all those who share so kindly. Precious little chicks! Makes me miss my chickens but we had too many critters around in the woods behind our house. 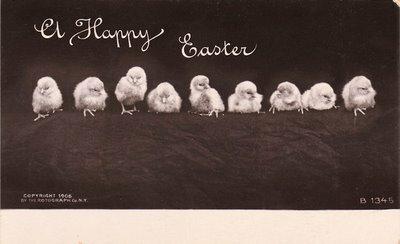 Baby chicks are so sweet and what a great vintage postcard. i LOVE this postcard and thank you so much for sharing! 🙂 Have a GREAT day!! Thanks so much for sharing, Karen. This one is adorable. I’m so glad you guys thought this one was as cute as I did! How lovely that you both had chickens. My grandmother used keep chickens for us grandkids on her farm, where I spent my Summers. They were the dearest little things. We had one miniature hen that used to love to swing in the hammock with us! Oooh Karen I would also like to repay you for all of your gorgeous art but I do not have images like you….maybe something different…Thanks so much! Thank you for sharing SO many wonderful Easter images Karen, you’re the best! Thanks for popping in and leaving such kind comments! This is adorable, Thanks for sharing. I am going to post this on my blog. 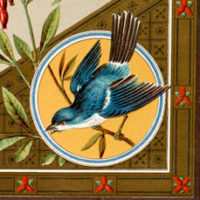 thanks so much for all the beautiful clipart…this is a vintage feast.